Music Notes: Keeping the Dream Alive Talented band American Aquarium postpones the end to find a new beginning. Talented band American Aquarium postpones the end to find a new beginning. 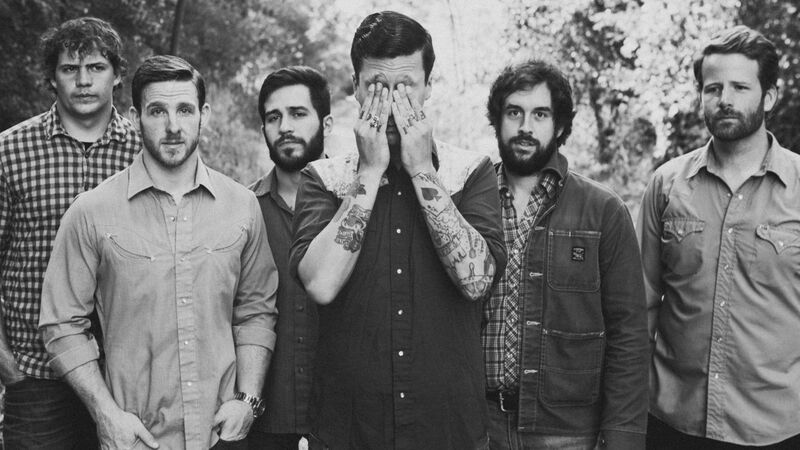 If you’re a budding songwriter like American Aquarium‘s B.J. Barham was 10 years ago, you take the passion you have for those who influence you and begin to craft a style, a sound of music of your own that is based on the impression they have left on you. And that devotion is at the heart of where Barham has been coming from for ten years as the band’s front man and principal songwriter, keeping the legacy of songwriting as art moving forward. And it looks like Barham’s North Carolina-born band is succeeding at doing just that. The first time I heard American Aquarium (a name taken from a Wilco song, another one of Barham’s faves), which was a few songs into their excellent new record “Wolves,” I thought, hey, that sounds like Ryan, like Whiskeytown, a little Patterson Hood thrown in, and yeah, there’e even some shades of Bruce. And lo and behold, along with their own original sound, those are all conscious vibes that Barham and his talented band bring to the table and that’s not a bad thing at all, because it all amounts to powerful and moving tapestries of words woven amidst hard driving alt country rock and roll power. And as part of those “300 days a year,” American Aquarium hits DC’s Hamilton on Friday, October 23. AA started their road in 2006, and it was a blur of hundreds of shows every year, just trying to keep the train rolling. But Barham just wanted his band’s assurance they’d hang in there as long as things kept moving forward. After a half dozen solid records and a pretty decent run, the band was totally whipped, and it looked like their pinnacle, their parting shot, would be 2012’s Jason Isbell-produced and appropriately titled “Burn. Flicker. Die.” The mindset was, well, we made it to here, exhausted, crawling, partied out, but intact, so this is why it’s over, and thanks. It was a happy surprise to everyone that the album was a critical and fan base success, pulling them off the ledge and pointing them towards a new dawn. And cutting back on the excesses seemed like the right thing to do too, an always hard undertaking given a hard touring band’s lifestyle. And so far, they’ve kept on that fast track upward, filling halls and playing their memorable music, in addition to releasing the wonderful “Wolves” this year to positive reviews. It’s a record that seems to be clearly celebrating American Aquarium’s survival and rejuvenation, a good rock and roll success story, at least so far. American Aquarium performs Friday, October 23 at The Hamilton, 600 14th St NW, Washington, DC 20005. For tickets, click here.